Purity is the basis of all true elegance. Made with 100% organic ingredients, Huruud Organic Face Masks are packed with antioxidants, anti-aging and antibacterial properties. This gentle face mask rejuvenates the skin by exfoliating the upper dead skin cells, revealing a fresh layer of skin underneath. Huruud promotes radiant glowing skin and prevents premature again by working to diminish the appearance of fine lines, sagging and wrinkles. When applied topically, this face mask helps prevent breakouts while moisturizing the skin. 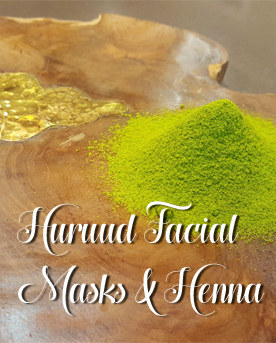 Huruud leaves you with soft, radiant, healthy natural skin; and most importantly neutralizes Free Radicals. It’s safe to say Huruud Organic Face Masks by Ashmir is an all-around beauty multi-tasker, that not only helps one age more gracefully, but more importantly our skin is healthier as we age.